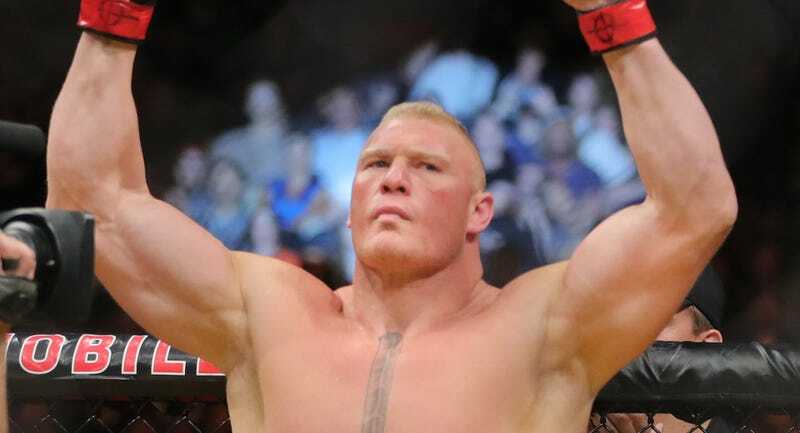 Brock Lesnar has been flagged by USADA for a doping violation related to a sample taken June 28, less than two weeks before the UFC and WWE star defeated Mark Hunt at UFC 200. ”USADA, the independent administrator of the UFC Anti-Doping Policy, will handle the results management and appropriate adjudication of this case. It is important to note that, under the UFC Anti-Doping Policy, there is a full fair legal review process that is afforded to all athletes before any sanctions are imposed. The Nevada State Athletic Commission also retains jurisdiction over this matter as the sample collection was performed in close proximity to Lesnar’s bout at UFC 200 in Las Vegas. Lesnar has a right to appeal the positive test; it is unclear if his representation before the panel will be Paul Heyman.